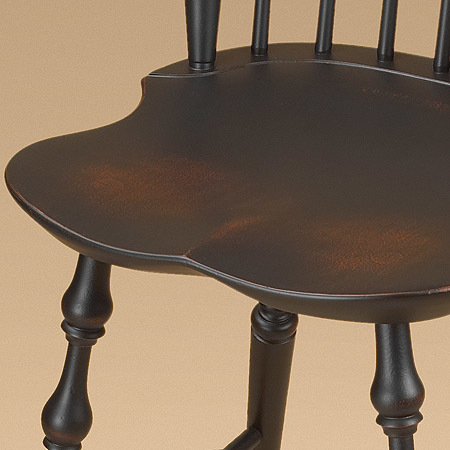 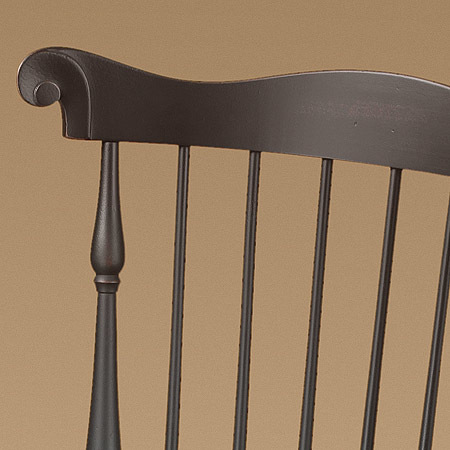 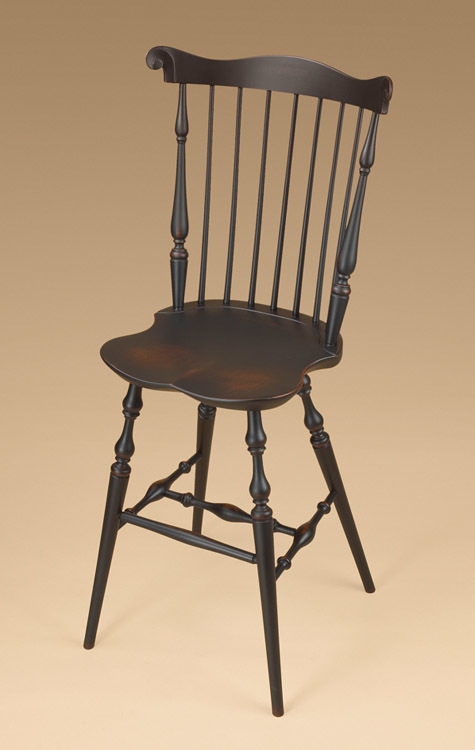 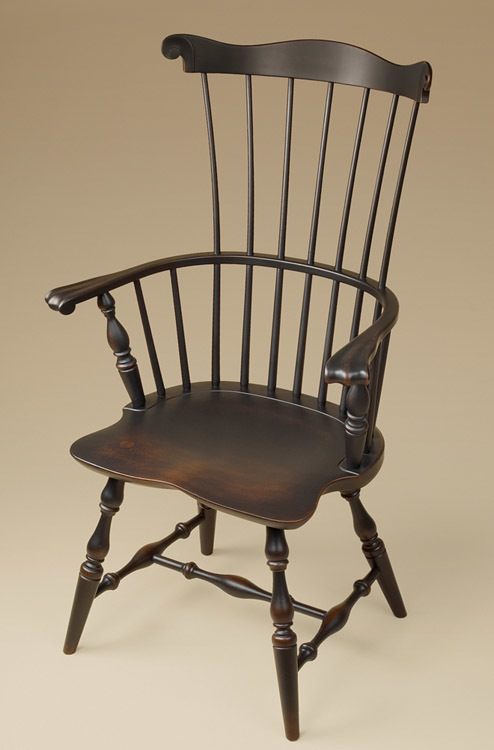 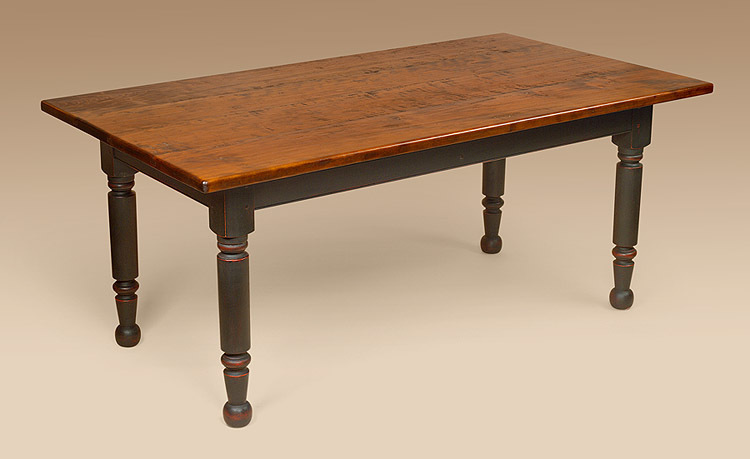 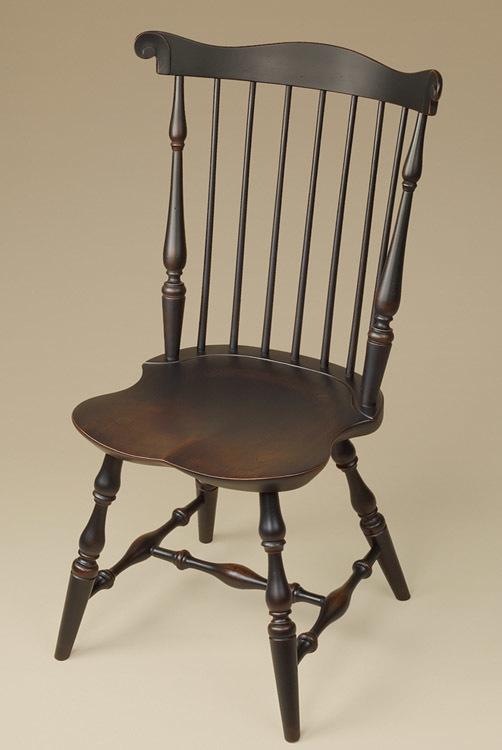 The Fan-Back Windsor Stool features spindles that fan out from the seat and back posts that are decoratively turned. 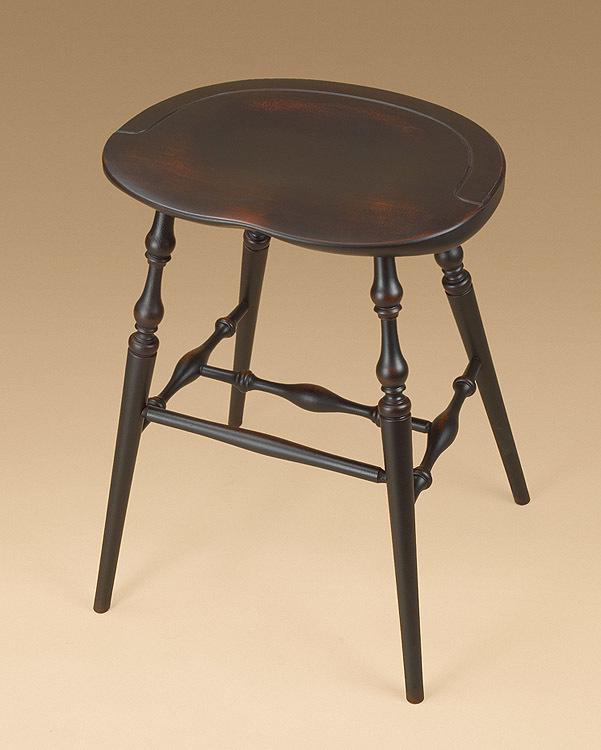 With its extended height, the Fan-Back Windsor Stool is used as a kitchen counter stool or a barstool. 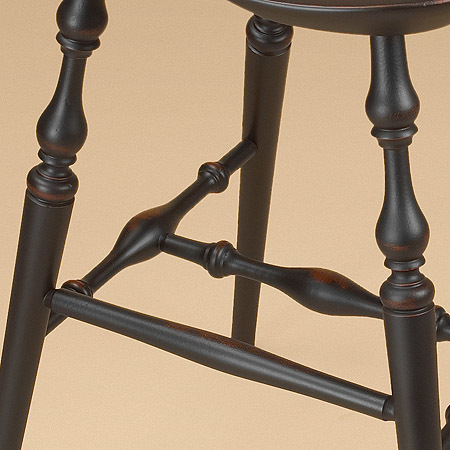 It features attractive turned legs.